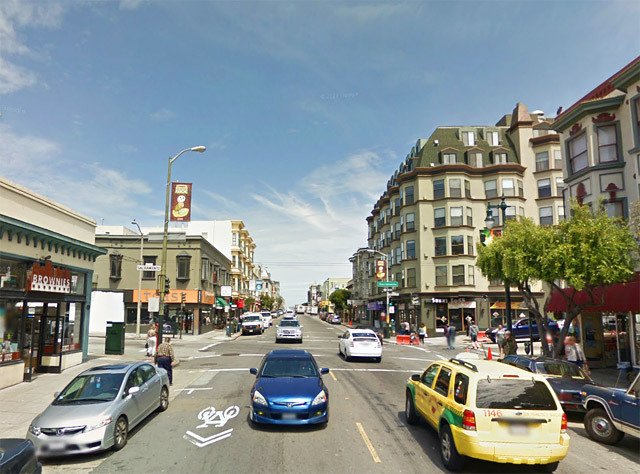 Neighborhood commercial streets, such as Clement, Taraval, Valencia, Polk, and Leland Avenue, include many of San Francisco’s most vibrant streets, handling continuous activity throughout the day. They are the streets where San Francisco residents do their daily errands, meet with friends, and shop and play on the weekends. Short-term parking for customers and space for loading facilities are essential components of commercial districts. 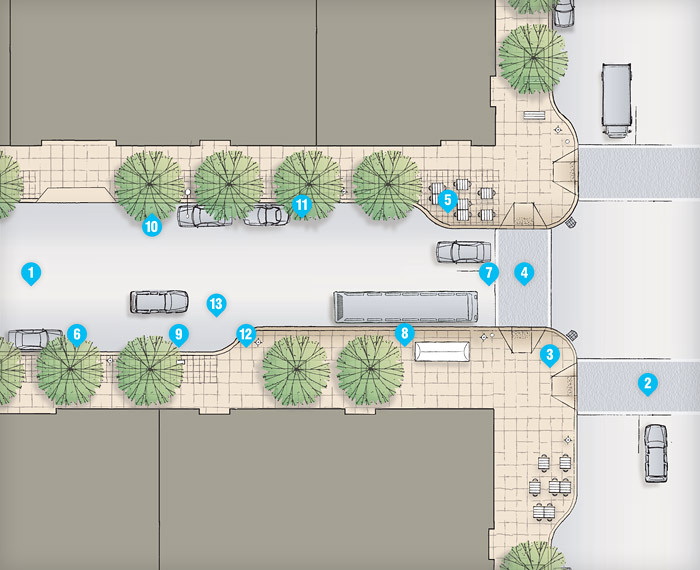 However, parking and loading facilities often compete for the same space as desired features such as corner bulbouts or pedestrian plazas. Managing parking and loading facilities efficiently and effectively can serve both the needs of local businesses while enabling improvements to the public realm. 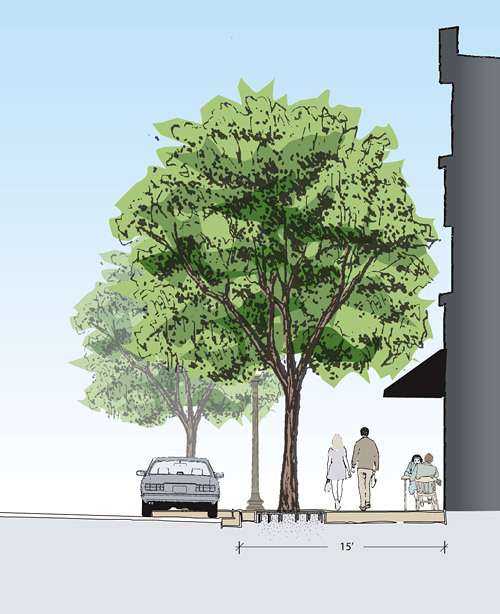 Tree grates should be considered in high pedestrian volume areas, or where capital and maintenance budgets allow.